Order your Chauvet DJ CHS2XX Carry Bag from AMS and enjoy 0% Interest Payment Plans, Free Shipping, Free Extended Warranty & 45 Day Money Back Guarantee. 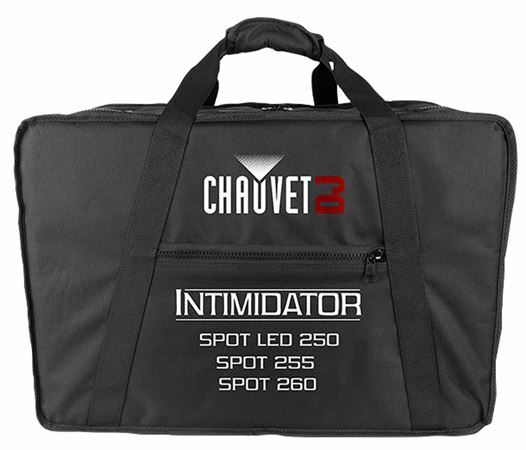 CHS-2XX is a durable carry bag designed to easily transport a pair of Intimidator Spot 255 or 260 IRC fixtures. Its hard shell exterior protects your investment and the custom interior molds lock the fixtures in place during transportation.